Today we have two editorial board views of the proposed changes to the US Endangered Species Act. The New York Times says the US Administration is proposing to weaken the law by reducing the role that scientists play. The Bend Bulletin says the changes are overdue and important so as to better balance the costs and benefits of its application. Elsewhere: the United Steelworkers says it’s preparing to strike in BC; and The Motley Fool says it’s a good time to buy West Fraser and Norbord stock. In Fire news; drones are causing havoc for BC firefighters; fire lookouts are crucial in the US West; Nelson is BC’s most fire-endangered town; and fires are still out of control in Ontario; Sweden and Greece. Finally, Architectural Record highlights the gains from Portland’s proposed 12-storey mass timber project—despite it being put on hold; while the concrete industry celebrates its abeyance. …I’ll highlight three stocks that fell sharply last week. Will they keep crashing? Or will they bounce right back? …West Fraser Timber is down 10% over the past five days, with most of that loss coming at the end of the week. But here’s the crazy part: the lumber company actually posted very strong Q2 results on Friday. Operating margins jumped 890 basis points to 25.3%, while revenue climbed nearly 39% year over year. Management even repurchased $256 million worth of shares. So, what’s the problem? Well, Bay Street was clearly expecting more, given the huge run-up in West Fraser shares over the past year. The price of lumber also fell well below $500 last week. Still, I’d really consider using this pullback to buy in. West Fraser remains highly diversified and financially strong. PRINCE GEORGE, BC, – The United Steelworkers (USW) Wood Council met for a fifth round of bargaining with the Council on Northern Interior Forest Employment Relations (Conifer). Unfortunately, the employers came to the table unable to negotiate straightforward proposals. Given the strong lumber market, the union believes the employers should come to the bargaining table prepared to address workers’ issues. “We are looking for improvements to our working conditions,” says Bob Matters, USW Wood Council Chair. “The employer is unwilling to discuss the most basic proposals. Our workers are demanding changes and we will fight for them. We are bargaining for 23 different worksites and it’s time to send them a message,” Matters said. The union has proposed changes to the collective agreement that include leave for members struggling with domestic violence, union representation and pension funding improvement. Canadian forest and wood product companies have seen quite a rally so far this year, making buyers bullish on domestic lumber stocks. While some of this trading may have been sparked by investors capitalizing on value opportunities opened up by the softwood tariff, the fact is that Canadian lumber is booming in 2018 and looks set to continue the trend for the rest of the year. Norbord Inc. is one of the best Canadian lumber stocks to buy for your consumer defensive portfolio. It’s been having a great year, but will that growth last, and is this stock good value today? …Our analysts at Motley Fool Canada are so convinced of this company’s bright future that we’re officially issuing a strong buy alert to all of our Canadian readers. Not all the tariffs recently affecting Lancaster County businesses are the result of recently launched trade wars. A few months ago, Conestoga Wood Specialties found itself caught in the wake of a tariff fight that began in 2012. …The Coalition for Fair Trade in Hardwood Plywood renewed the battle in October 2016 by again taking the case to the U.S. International Trade Commission. …“If you’re a plywood manufacturer, you’re extremely happy, because now you probably have a chance of surviving, whereas before, you may not,” Watson said. “By contrast, the users of the plywood — companies like Conestoga and all of our customers (2,500 kitchen-cabinet manufacturers in the U.S.) — took a massive price increase, which clearly we cannot absorb. 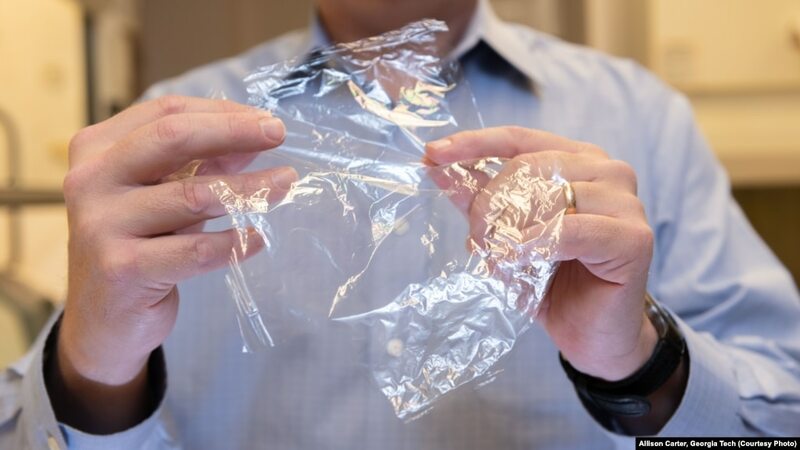 “I mean, how do you absorb a 200 percent increase in your raw material cost?” Watson said. What’s not to love about wood, especially if your site name is TreeHugger? …The problem with wood flooring is that it is mostly hardwood, which grows more slowly. Much of it comes from old growth forests and is often harvested illegally; even if it is sustainably harvested …The trouble with reclaimed wood is that in many places… local structures that are part of the cultural heritage are being demolished. …Salvaged wood is milled from trees, often urban, that are blown down in storms or are dangerously old. It is as local and green as it can be, but the supply is inconsistent. …Lots of people have good things to say about engineered floors and the manufacturers are selling it by the square mile. But this TreeHugger’s advice is that if you want wood, get the real thing, made from wood that is certified to be sustainably harvested, preferably close to home. Vancouver city staff will be asked at Tuesday’s council meeting to come up with a policy to make green roofs mandatory on new buildings. Coun. 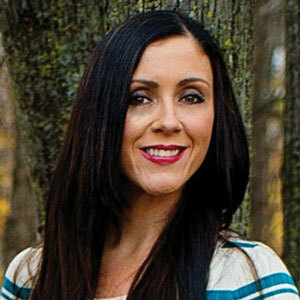 Adriane Carr’s motion would apply to new commercial, institutional, industrial and multi-family residential developments, and renovations to older similar buildings. Carr, who has been lobbying for such a bylaw for years, said the motion fits with the city’s new Rain City Strategy. “I’ve been raising this for the last seven years,” Carr said.“With the increased storms and rain coming to Vancouver because of climate change, there will be a burden on our discharge system.” …Toronto introduced a green-roof bylaw in 2009. Cities such as San Francisco and Copenhagen also have green-roof bylaws. 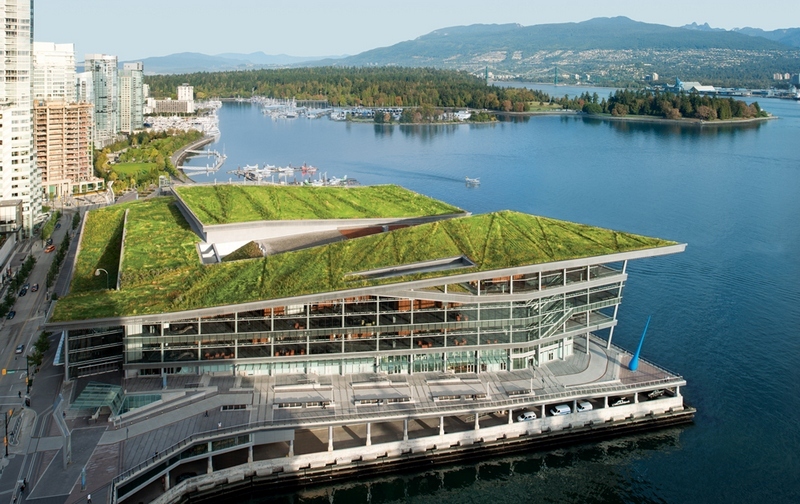 The Vancouver Convention Centre’s green roof …reduces the heat inside by 95 per cent in summer and prevents 26 per cent of heat loss in winter …The benefits of a living roof are many. Champions of a 12-story structure built with cross laminated timber assemblies have placed their project on hold indefinitely. …Prospects for the tower were boosted in 2015, when Framework landed a $1.5 million U.S. Tall Wood Building Prize in a U.S. Department of Agriculture and Softwood Lumber Board competition. …A second Tall Wood Building Competition was among provisions in the Timber Innovation Act (TIA), which proponents aimed to advance on Capitol Hill via the 2018 farm bill. The National Ready Mixed Concrete Association and allied interests prevailed in keeping the competition and other TIA provisions out of the farm legislation, and remain firmly opposed to the USDA and other federal agencies assisting in the promotion of any building material or method over viable competitors. California Burning: As Wildfires Increase How Is Real Estate Going to Cope? For all its natural beauty, California is also a state prone to natural disasters… With record-high temperatures, persistent drought conditions fueled turbo-powered winds, including the annual Santa Ana winds, the likelihood and severity of wildfires has increased. And, in addition to its myriad other effects, it has become a real estate concern. …The push for denser single-family housing developments on smaller lots to avoid urban sprawl and create more affordable housing, Dicus said, also increases the risk. …Coffee, a member of the Urban Land Institute, advocates changes to land use zoning that considers major risk factors to create a bigger buffer and other restrictions that protect property and livelihoods. …“Nobody has thought about commercial buildings and wildland fires. …After Napa, however, it’s something he has started to consider. In the race to build taller and taller mass timber buildings in the US, Framework, a proposed 12-story all-wood highrise in Portland, Oregon, seemed to be rocketing highest. …After more than 40 fire, seismic, and acoustical tests, Framework last year became the first mass timber high-rise building in the U.S. to earn a building permit. Thirteen months later, the developer, Portland-based project^, announced Framework’s groundbreaking is on hold—indefinitely. …Despite what may be its death nell, Framework’s shortened life broke ground in other ways. The design’s proposed CLT panels were subjected to the first crushing, bending, fire, and acoustical tests ever done in the US. …Indeed, for all Framework’s regulatory firsts, a number of changes in 2018 International Code Council code, along with proposed ones in the 2021 code, are poised to unleash a pack of mass timber buildings. BC Wildfire Service staff were forced to temporarily halt air operations on the Wilson Creek wildfire on Sunday, July 22, 2018, due to people operating unmanned aerial vehicles above the fire. A helicopter that was supporting ground crews was grounded. Additional firefighting aircraft working on other fires in the area had to be diverted from their flight paths to avoid the airspace around Little Wilson Lake area, which is about 19 kilometres east of Nakusp. The airspace around Little Wilson Lake is once again clear for firefighting aircraft to operate. The RCMP is working with the BC Wildfire Service to investigate this incident. 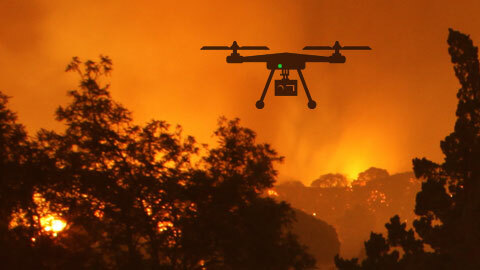 The use of drones near a wildfire is illegal. The restricted airspace includes a radius of five nautical miles around the fire, and to an altitude of 3,000 feet above ground level. The Endangered Species Act should not ignore the human species. It’s right for the Trump administration to consider ways to change the act to better consider its economic costs. …One of the most common examples of costs in the West is the impact on the timber industry from the spotted owl. Once it was listed as threatened in the 1990s, the timber industry in the Pacific Northwest fell off a financial cliff. Federal timber sales dropped from a 1983-1989 average of 2.9 billion board-feet in western Oregon to less than 0.5 billion board-feet in 1996… That meant the loss of thousands of jobs. And now the more aggressive barred owl may wipe out the spotted owl, anyway. The law’s flaw is that everyone gets benefits while a relative handful of individuals and businesses have to bear great costs to comply with it. It doesn’t endanger the act to find ways to correct that imbalance. It’s only fair. Ryan Zinke’s Interior Department proposes to significantly weaken the landmark law that saved the bald eagle… the 1973 Endangered Species Act. …In equal measure, it has been reviled by developers, ranchers, loggers and oil and gas interests for elevating the needs of plants and animals and the habitats necessary for their survival over the demands of commerce. …A suite of measures in the House and others in development in the Senate would, in aggregate, weaken the role that scientists play in deciding which species need help, while increasing the influence of state governments. …Individual species aside, the act’s habitat requirements have also produced great gains for ecosystems as a whole. A succession of inconspicuous birds listed as endangered or threatened — the spotted owl, the marbled murrelet, the coastal California gnatcatcher — has saved millions of acres of old growth forest and open space along the Pacific Coast from logging and commercial development. A caterpillar that’s been rarely observed in the wild is about to join with another species of inch worms to wreak destruction upon two national forests in New Mexico. 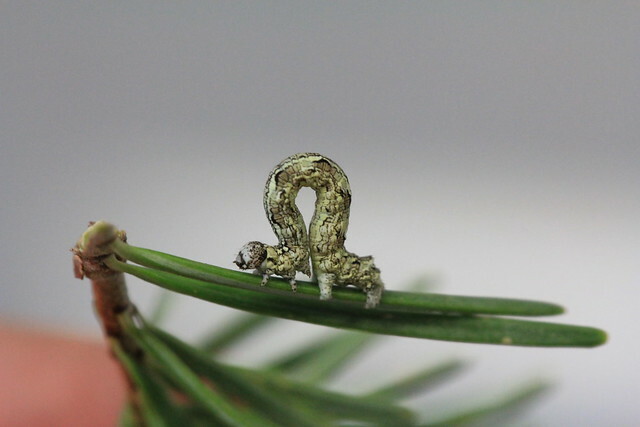 The culprit, called Janet’s looper caterpillar, feeds on the needles of high-elevation fir and spruce trees, but this insect has rarely been observed for nearly 50 years. However, the Janet’s looper appeared in greater numbers this year, and it has a partner in crime: hordes of hungry Douglas-fir tussock moth caterpillars. Their collective appetites have reached outbreak status—severely stressing fir, spruce, and pine trees. If this destructive duo eats most of the needles from an entire tree, which they are inclined to do, that tree cannot make food and becomes vulnerable to yet another destructive insect: the bark beetle. In a quest to shrink national monuments last year, senior Interior Department officials dismissed evidence that these public lands boosted tourism and spurred archaeological discoveries, according to documents the department released this month and retracted a day later. The thousands of pages of email correspondence chart how Interior Secretary Ryan Zinke and his aides instead tailored their survey of protected sites to emphasize the value of logging, ranching, and energy development that would be unlocked if they were not designated as national monuments. Comments that the department’s Freedom of Information Act officers made in the documents show that they sought to keep some of the references out of public view because they were “revealing [the] strategy” behind the review. …In April, President Donald Trump signed an executive order instructing Zinke to review 27 national monuments …arguing that his predecessors had overstepped their authority in placing these large sites off-limits to development. BOISE, Idaho — Fire-lookout towers perched atop remote, craggy peaks across the U.S. West may seem like quaint reminders of an era before satellites, smartphones and jet-propelled air tankers. Indeed, some of the structures are more than 100 years old. But with their lofty views and good old-fashioned human observation, fire lookouts play a crucial role in the nation’s front-line efforts to stop wildfires. 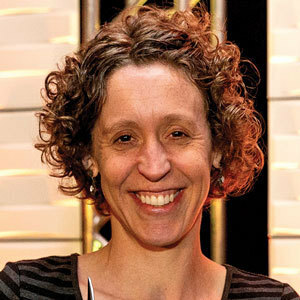 “The biggest piece of this puzzle is to keep fires small,” said Kassidy Kern, a U.S. Forest Service spokeswoman based in Oregon’s Deschutes National Forest. “And the way to do that is to have someone who is vigilant and scanning.” Fire lookouts start taking on more responsibility about now as wildfire season transitions from lower elevation grasslands to higher elevation forests. Some towers are just getting staffed as snow melts and they become accessible. COLUMBIA, SC — The Southeast is projected to lose 10 percent of its forestland by 2060 due to urbanization. We need to prevent this. By growing trees, we are growing jobs in South Carolina. The wood and paper-products industry provides 84,000 jobs, primarily in rural areas with high unemployment. Timber is the No. 1 agribusiness crop, supplying many rural South Carolinians with good-paying jobs and landowners with money for retirement or their children’s education. Forests also are vital to our environment, providing clean air, clean water, wildlife habitat and outdoor recreation. 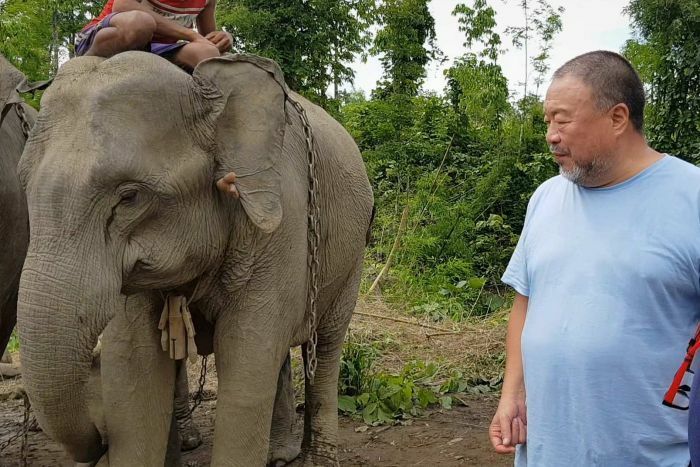 Artist Ai Weiwei has visited elephant camps in Myanmar, where efforts to reduce logging have created new dangers for more than 1,000 “jobless” timber elephants. Elephants have been used in Myanmar’s timber industry for decades, work that has seen the creatures drag heavy logs through forests. However, animal-protection organisation Four Paws said a ban on timber exports meant many working elephants were now “jobless” and viewed as a financial burden. Many have been chained up in camps, while others are being smuggled out of the country for use in the tourism industry. Some are also being abandoned or killed. …Myanmar’s nationwide, one-year ban on timber exports was lifted in April 2016. However logging resumed at a reduced level… leaving elephants in that area out of work. In response to this, Four Paws is constructing one of South-East Asia’s largest elephant sanctuaries in the Bago region. A wildfire expert says that among BC communities with more than 10,000 people, Nelson has the highest wildfire risk. Forestry consultant Bruce Blackwell of North Vancouver announced in Nelson two years ago that the city was among the top ten most vulnerable. Now he says he has updated his data and created a variety of different ways of describing the risk. The graph shown above is based on an analysis of the forest within ten kilometres of a city’s limits. Blackwell used GIS and a provincial fuel type inventory to analyze risk. …There are some smaller communities that are potentially at higher risk than Nelson but a fire would not affect as many people. Among Kootenay towns with fewer than 10,000 people, some, like Sparwood, Elkford and Fernie are in more danger than Nelson. …Blackwell says we should not leave it up to the government …he wants landowners to step up also. Firefighters were battling 55 forest fires as of late Monday in northeast Ontario, of which 21 were not yet under control. The Ministry of Natural Resources and Forestry said one of the fires dubbed Cochrane 14 northeast of Timmins had grown to 4,899 hectares and remained out of a control. A larger blaze called Parry Sound 33 measured 5,612 hectares as of late Monday and was being fought with planes and helicopters. On Saturday, the provincial ministry called for a mandatory evacuation of residents in the area with boat access only and for all other residents to be placed on an evacuation alert. The French River Provincial Park has been fully closed west of Highway 69/400 and all campers were being or have been evacuated. HELSINKI — Swedish officials say the country’s wildfires remain a serious situation, with the continuing hot and extremely dry weather making firefighting efforts very hard despite broad international help. …Dozens of French soldiers arrived early Monday to help international firefighting crews battling some 50 wildfires raging since last week, mostly in central and western Sweden but some also in the Arctic north. France, Italy and Norway have dispatched water-bombing planes, helicopters and staff. Germany, Lithuania and Portugal have also pledged assistance, while Poland sent 139 firefighters and 44 fire trucks. 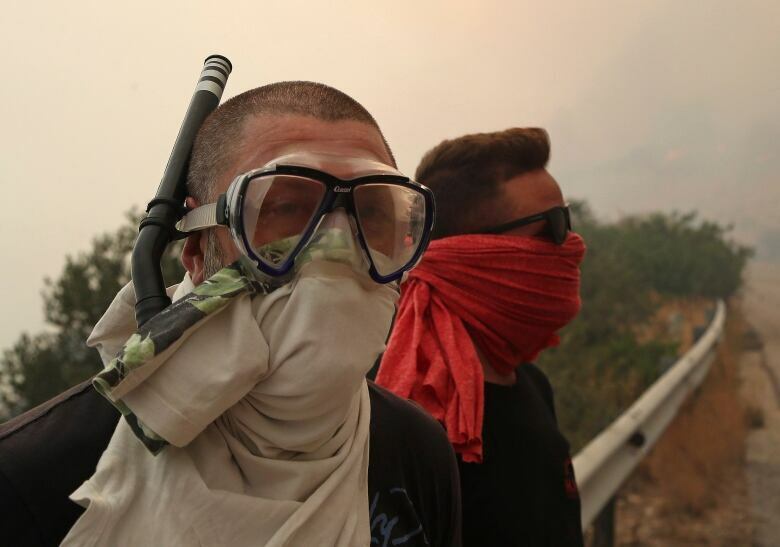 Twin wildfires raging through popular seaside areas near the Greek capital have torched homes, cars and forests and killed at least 49 people, authorities said Tuesday, raising the death toll after rescue crews reported finding the bodies of more than 20 people huddled together near a beach. Many people headed to beaches and the coastline to escape, fleeing flames and choking smoke. More than 700 people were evacuated by sea throughout the night, said Merchant Marine deputy minister Nektarios Santorinios, whose ministry is in charge of the coast guard. The head of Greece’s Red Cross, Nikos Oikonomopoulos, told Skai television a member of a Red Cross rescue team had told him the crew searching a seaside area northeast of Athens had found 26 bodies, apparently families, huddled tightly together, many of them hugging. The group is believed to have been discovered near several cars found charred outside a walled compound gutted by the fire. I love working at an organization where the boss wrote a blog titled “Eat Kale, Use Wood.” The recent blog, by Northern Forest Center President Rob Riley, focused on why people have embraced the idea that eating more kale sustains local farms, but haven’t yet realized it is just as important to use forest products to support our local forests. This is a message we work with every day at the center. …Installations alone aren’t enough to catalyze modern wood heat market growth. To really scale up and achieve significant, lasting benefits for rural communities, we need to make far more people aware that automated wood heat is even an option. Wood dust. It’s the lifeblood of a pellet plant, but it can be the force behind an operation’s demise, if not properly managed. This is well-known across both the domestic and industrial segments, but still, incidents continue to occur at a rate that I’ve heard some industry stakeholders describe as too frequent. As one plant manager told me, a bad incident at one plant reflects on the industry as a whole; the impact extends far beyond that particular facility and the surrounding community. …Other stories in our dust management, fire and explosion protection issue include… dust hazard analyses. Had one before? It may be time for another. Pellet plants change over the years—new equipment, modifications, expansions, etc., so these analyses may bring to light some previously unidentified or new risks.